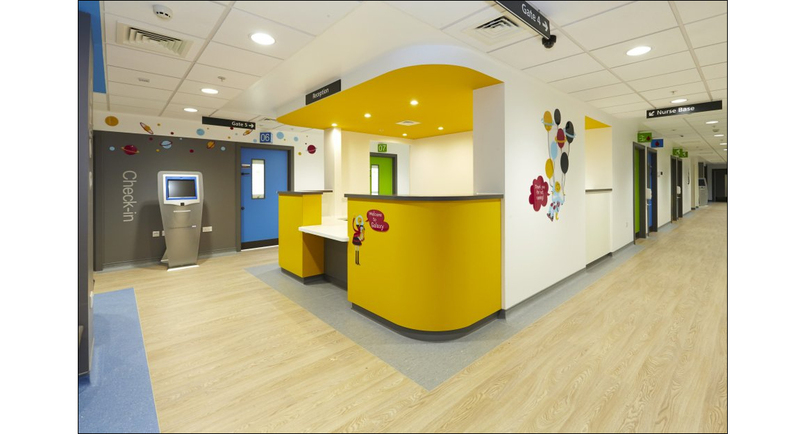 Providing flooring solutions for a variety of settings in the health care sectors. From non-slip hygienic flooring with coved skirtings in labs and operating theatres, to localised patch repairs; we are diverse in our experience and our application of skills. The psychology behind colour choice is of utmost importance when creating an environment for patients with particular problems eg. dementia, mental heath, childrens areas etc. The main concerns when installing with hospital flooring are hygiene, infection-control and durability. At J Brown Flooring we can advise you on both of these, and recommend products based upon previous installations and feedback on any issues. We can also address noise reduction by installing sound proof underlay. We understand issues of access when works are carried out in public buildings. We will work with you to ensure disruption is kept to a minimum and that public safety is not compromised. Please visit our album of previous work.